E3 2019 is now just mere months away. Therefore, a number of companies are beginning to lay out plans for the upcoming event. Most recently, Ubisoft announced its annual press conference will be held on June 10th. Now Nintendo has unveiled what it has in store for this year’s E3 festivities. The first step in such a reveal came courtesy of a newly launched E3 2019-centric Nintendo website, E3.Nintendo.com. 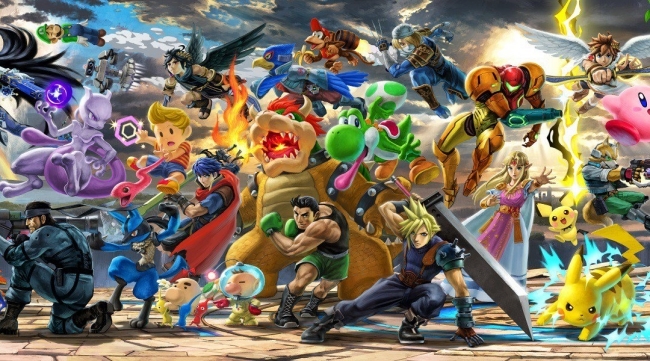 While E3 takes place from June 11th to June 13th, Nintendo will kick off the weekend ahead of E3 with “electrifying Nintendo game tournaments.” Included in these tournaments are the Super Smash Bros. Ultimate World Championship 2019 3v3 and Splatoon 2 World Championship 2019 events. These Nintendo festivities are scheduled to begin on Saturday, June 8th, and will be streamed live. Unfortunately, for now, it doesn’t seem Nintendo is willing to dive into specifics about its other plans. As such, details as to what the company is doing with regards to E3 proper presently remain under wraps. Like its most recent E3 ventures, however, Nintendo will likely stream a Nintendo Direct, rather than participate in a full blown press conference, as is custom for several other titans in the industry. In the weeks to come, many burning questions concerning these matters and more are sure to be answered. One thing fans will not have to look forward to this year is an E3 press conference from Sony Interactive Entertainment. Late in 2018, Sony revealed it would not be attending the 2019 event in any capacity. Instead, smaller and more scattered reveals are scheduled to surface throughout the year. The most notable example of this, thus far, is Sony’s State of Play broadcast. During the inaugural episode, a host of new VR-related details were announced, including Marvel’s Iron Man VR, VR compatibility for No Man’s Sky, a May 2019 release for Blood & Truth, and more.